Please help to finish the upgrade of a friend's HP DV4 - 1280us notebook. He ordered a Core 2 Duo T9800 (2.93GHz) processor to upgrade from a T6400. I disassembled the notebook and changed the processor, but it is being recognized as a SP9400 by CPU-Z (2.4GHz) instead. I think that the proper processor microcode for T9800 could be missing from the BIOS. Is it possible for it to be added in the BIOS? Do Load Defaults in BIOS, save and reboot. Post screenshots of first (CPU) & third (Mainboard) tabs of CPU-Z. (05-21-2018, 01:45 PM)DeathBringer Wrote: [ -> ] Do Load Defaults in BIOS, save and reboot. Show a photo of the your CPU. [attachment=14366 Wrote: DeathBringer pid='140002' dateline='1527080113']Show a photo of the your CPU. EDIT: The seller asked me to remove the picture. Please let me know if a photo from the real cpu is necessary, as this will require that I disassembly the notebook to do it. I need a real photo. I think you was fooled and it's remarked CPU. (05-23-2018, 08:31 AM)DeathBringer Wrote: [ -> ] I need a real photo. I think you was fooled and it's remarked CPU. OK. I'll disassemble the notebook and take a picture. If you would like to seem them in full resolution, please let me know and I'll upload them somewhere else. It's remarked CPU. 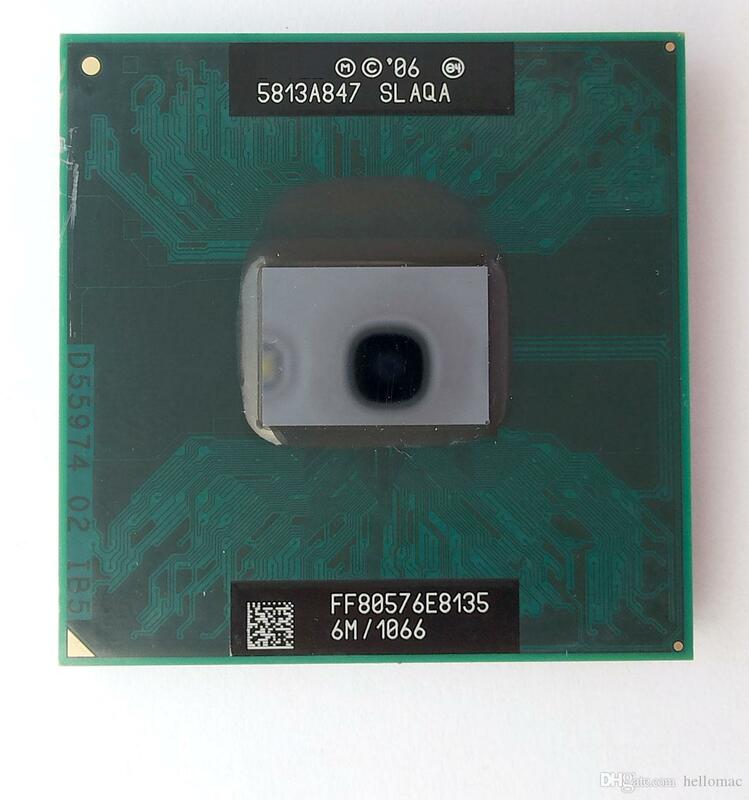 It's old C2D E8135 with sSpec=SLAQA, stepping C0, frequency=2,4 GHz, TDP= 44W. Thank you so much for your help. I'll open a dispute against the seller and ask for a refund.